Our certified translation service is a favourite with our clients – our translations are of the highest quality and we work promptly to ensure the fastest possible turnaround on every project we complete. We have translators who work on documents written in every different language. We don’t use automated tools or short cuts – all certified translations are completed by our fully qualified, certified translators. 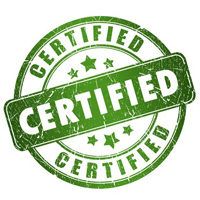 All certified translations are accompanied with a certificate embossed with our company stamp to prove the authenticity of the translation. We offer notary translation services for our clients, along with sworn translation and legalisation services. Your document will be translated by a professional, qualified translator. We maintain a high level of communication with all of our clients on every single project that we work on. We’ll keep you informed and let you know exactly where we’re up to with your project. Our translators can work on project files in any format, we’re able to translate documents from any language, to any language. There’s no need to look anywhere else for your translation requirements – we’ve got the experience and expertise to complete you project promptly to the highest possible standard. We also offer notary translation services for our clients, along with sworn translation services and legalisation services. In order to find out more about the certified translation services that we offer, or to get a completely free no-obligation quote, please contact us by telephone or email now! We’ve got a translator waiting to work on your project right away.